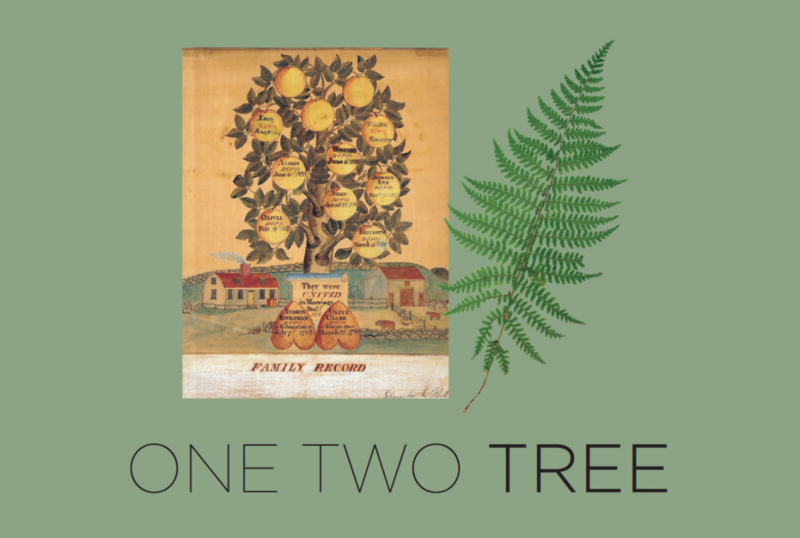 One Two Tree is a program that combines art and science while encouraging greater understanding about the role of trees through seminars with botanists, scientists, researchers and artists. Children are invited to create themselves and plant trees to contribute to the reforestation. WHAT IS ONE TWO TREE? One Two Tree is a two-year program for kindergarteners and first graders that gives students the opportunity to observe, explore forests and forest biodiversity (animals, insects, plants), and better understand the importance of nature and how to preserve it. One Two Tree was conceived at the initiative of the Anne Fontaine Foundation, whose mission is to reforest and protect the Atlantic Forest in Brazil. 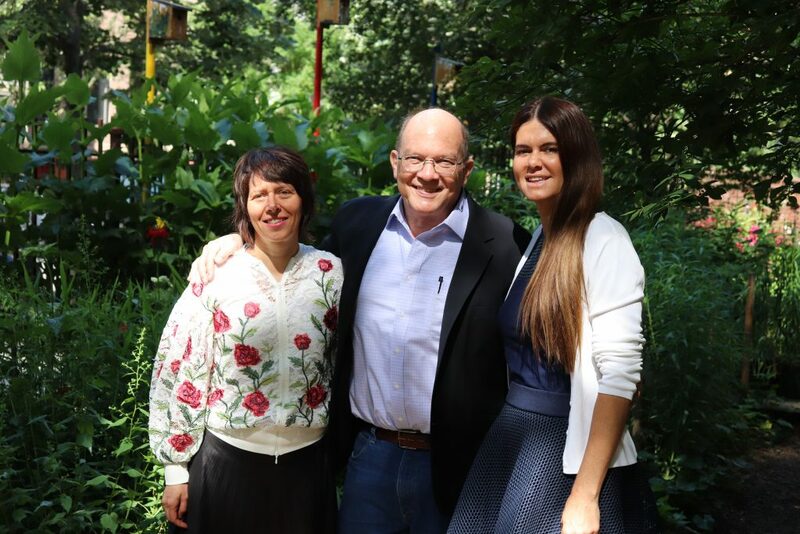 The Foundation holds workshops in Brazil and in the US with the goal of teaching children and students about the environment in which they live. This project was designed to demonstrate to children the incredible presence of trees in science and art, as well as to introduce them to the Brazilian Rainforest and its impact on our planet. 20 sessions are organized throughout the year to raise children’s awareness to the different ways in which trees touch our lives. One Two Tree was launched in 2017 with kindergarten classes. This year, One Two Tree will be developed with kindergarteners and first graders with 2 different programs.  First grade: Experiences on climate change at PS84 with Dr. Wolfram Schlenker, Columbia University, and workshops with artist Katie Holten on Tree Alphabet in class. This program is a way to better understand nature and, more specifically, the forest. During fall 2018, science teacher Ms. Aponte at PS84 will work on the different aspects of trees with scientific words. Children will also work with the PS84 Fearless Gardeners to take care of the gardens at school. •What do you think a rain forest looks like? •What might the plants look like? •What kinds of animals would you expect to see? •What would the air feel and smell like? •What kinds of sounds would you hear? After his expedition in the forest, Dr. Wayt Thomas brought plants to study at the NYGB. At the end of the presentation at PS84, Dr Thomas will invite children to create an herbarium as a botanist. The herbaria will be exhibited in class. 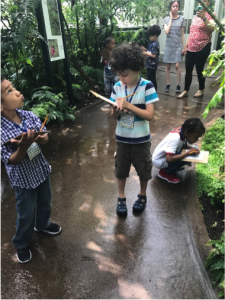 In spring 2019, children will visit the GreenSchool and join the Workshop Life in the Rain Forest at the New York Botanical Garden in Queens. During this workshop, students will explore the amazing rain forest exhibits in the Conservatory, learn about plant adaptations, and pot a rain forest plant to take back to the classroom. During the visit, children will be asked to share what they know about forests and to brainstorm words that they associate with forests. These should include things that they would find in a forest, as well as descriptive words about the textures, shapes, sounds, and smells they might experience in a forest. The visit will also encourage each student to take a walk through the rain forest that they see in their mind, and to explore it as fully as possible. After the students have opened their eyes, drawing materials will be distributed. They will create a picture of the rain forest that they imagined. 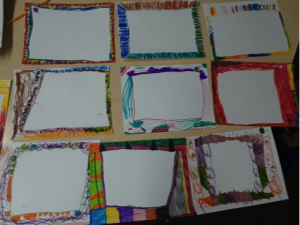 When the pieces are finished, students will share and explain their work. The International Day of the Forest is celebrated on March 21. This day raises awareness of the importance of all types of forests. On each International Day of the Forest, countries are encouraged to undertake local, national, and international efforts to organize activities involving forests and trees. The reference for the Draw Me a Forest illustrations were a series of paintings made by the Huni Kuin tribe. The Huni Kuin people, an ethnic group of more than 7500 people, mostly in the state of Acre in Brazil (but also in Peru), have for several years been very active in sharing their traditions with the Western world. Many initiatives and events have been organized in several countries around the theme of the preservation of the forest and its inhabitants. The Huni Kuin culture is rich and connected to the knowledge of the forest (plants, medicine, animals, trees) but also song, dance, body painting, crafts (bracelets, necklaces, hand-woven items). The tribe uses a variety of forms in the culture such as waves, lines, and spirals that symbolize the knowledge of the forest. 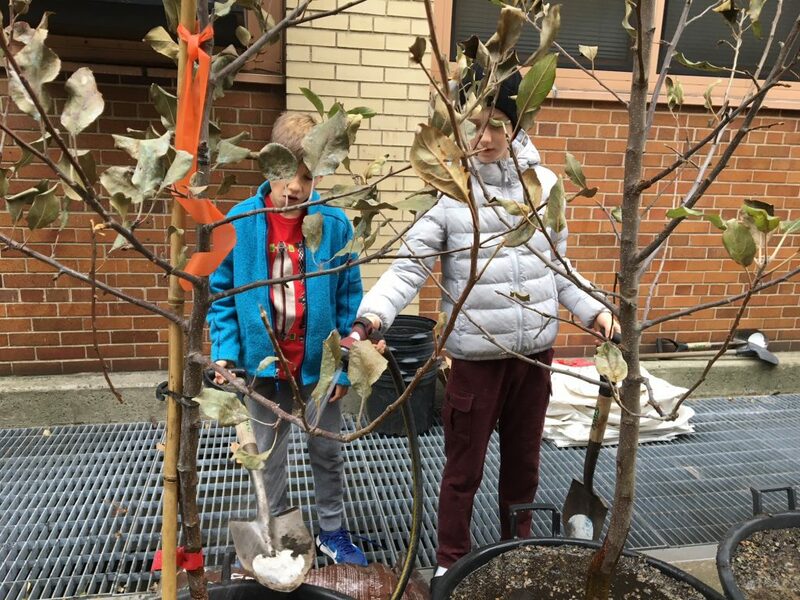 The results of the project were exhibited on March 21 at PS84 to celebrate the International Day of the Forest. Brazilian artist Santidio Pereira conducted a workshop with kindergarteners at PS84 in partnership with Annex B. The students worked with Periera for a collage session on plants and nature relating to the Brazilian forest. Santidio Pereira was born in Curral Comprido (Piauí) and lives and works in São Paulo. With the incentive of his mother, Pereira has, since his childhood, studied printmaking at the Instituto Acaia which offers art lessons to youth living in favelas in Sao Paulo. Today, Pereira’s work has been receiving quick recognition. He had his first solo exhibition in 2016 at Galeria Estação, which represents him, and is AnnexB’s partner to support his residency. His works have been recently shown at SESC 24 de Maio, Instituto Tomie Ohtake, SESC Santo Amaro, SP Arte 2017, Centro Cultural São Paulo, and PINTA Miami 2018. 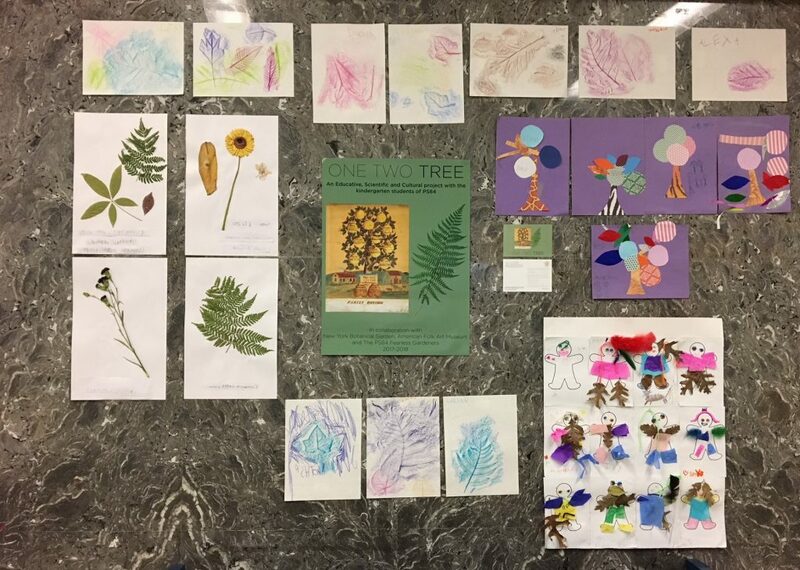 Draw Me a Forest projects done by the kindergarteners at PS84 on March 21, 2019. In class with science teacher Ms. Aponte, they will learn about climate and the meaning of climate change. -Is the climate of the whole earth really changing? -Do we care if Earth is getting warmer? -Does what we do matter? -What is making Earth’s climate warmer? During fall 2018, Professor Wolfram Schlenker from Columbia University taught classes on environmental and natural resource economics. His research interests include the economics of climate change, with a focus on the effects of changing weather conditions on agricultural output. He gave sessions to each first grade class that used science to show how climate change affects the North Pole, the desert, and different parts of the world. Children were invited to look at the effects in groups, to observe what has happened and to propose solutions. On April 11, 2019, students will have a workshop with Vicky Colombet, a French-American artist living in New York. Her work explores landscape in its representation, and she continually questions what can be read as a landscape, trying to capture a fleeting moment in the life of nature and evoke contemplation. As several elements merge in her work to manifest the dynamic, the strength, and the importance of nature, Vicky’s workshop will be a logical continuation and link to the subject of climate change that was introduced to children with Professor Schlenker’s workshop in November 2018. She will invite the children to draw, in groups, a landscape using the four elements: Earth, air, fire, and water. They will be able to express themselves artistically, imagining being part of nature and the lements, and working together to suggest a solution to climate change. The drawings will be exhibited at the Window to the World celebration and will be part of the PS84 Auction. Artist Katie Holten created the New York City Alphabet as a way to facilitate local engagement with nature and conversation and to increase ecological literacy and awareness of climate change. The NYC Tree Alphabet assigns a drawing of a tree species to each letter of the Latin alphabet based on phonetics (for example, A= Ash, B=Birch, C= Crabapple). Holten’s drawing are based on the NYC Parks Department’s existing planting lists as well as species that are to be planted as a result of New York’s changing climate. In spring 2019, a workshop led by the artist will use the alphabet to “plant” (write) words, poems, or even short stories around the city using the alphabet, and a font will be available to freely download, allowing everyone to write a love letter to NYC in trees. An educative, scientific and cultural project with the kindergarten students of PS84. In collaboration with the New York Botanical Garden, American Folk Art Museum, and the PS84 Fearless Gardeners. Students observed, compared and described the physical properties of trees, as well as their structures throughout the seasons. Students developed awareness of the characteristics and life cycles of trees and their environment. Students learned new vocabulary such as: air, water, nutrients, light, breathe, reproduce, waste, structures and growth. 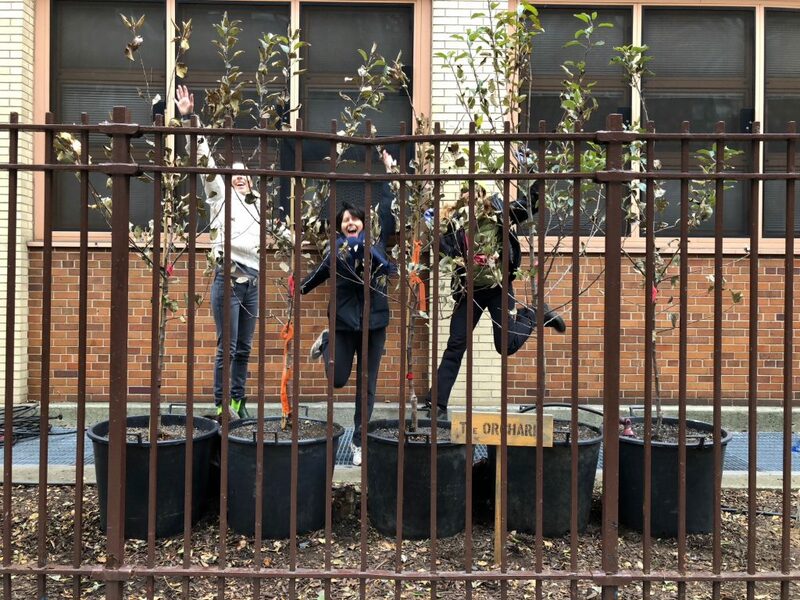 On Saturday, November 18th, five apple treeswere planted at PS84. 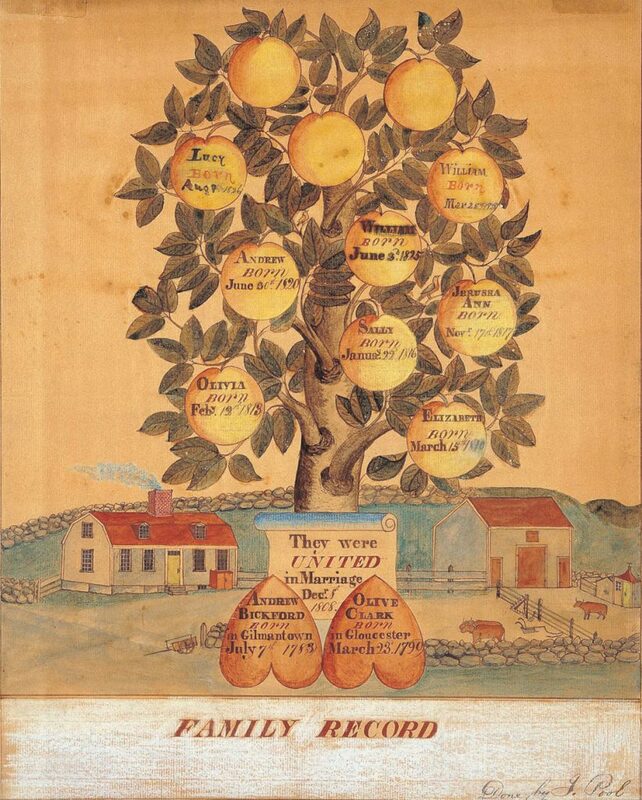 The different species were the Honeycrisp,Red Fuji, Royal Gala, Empire, and Pippin apple. The trees were safely planted on the 92nd Street side in planters, and are awaiting their final home on the roof garden next summer. The long-waited capital improvement renovation plans are underway during the years 2018-2019. The second floor courtyard is being converted into a green roof classroom space with fruit trees, vegetable planters and an ecosystem science study area. During this time, classes will continue outdoors in 91st street Garden location. All kindergarten and First grade students study trees in their science curriculum, which makes this a perfect collaboration for their studies. Students can learn, taste and thrive. 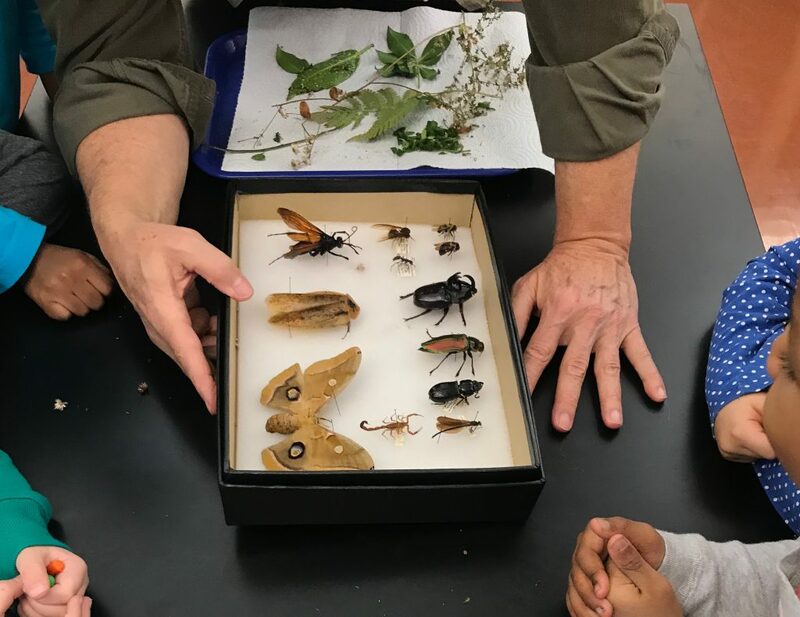 A New York Botanical Garden (NYBG) botanist visited the school to explain what he does and why it is so important to preserve the rich biodiversity of the rainforest, which includes the plants and the animals that live in it. 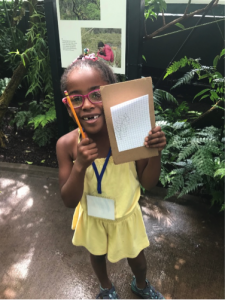 Children visited the NYBG through the program “Life in the Rainforest”. In this workshop, students had the opportunity of experiencing two different rainforests and then comparing the climatic and vegetative elements between them. They studied diversity and discovered which plants can be used for food and medicine. Each student left the workshop with their own little plant in order to create their own rainforest garden at home. Children analyzed three different works of art with trees as the subject. 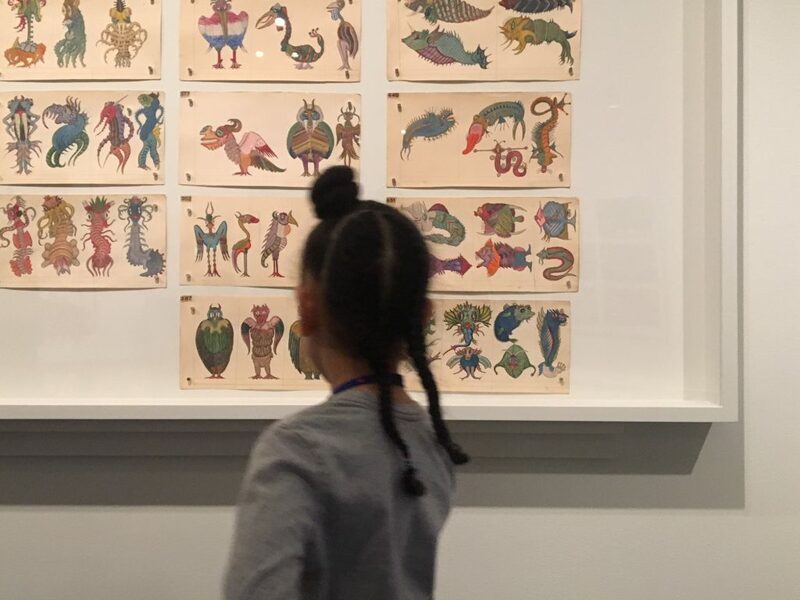 Children visited the exhibition “Vestiges & Verses” at the AFA, pointing out different ways of representing trees and animals. 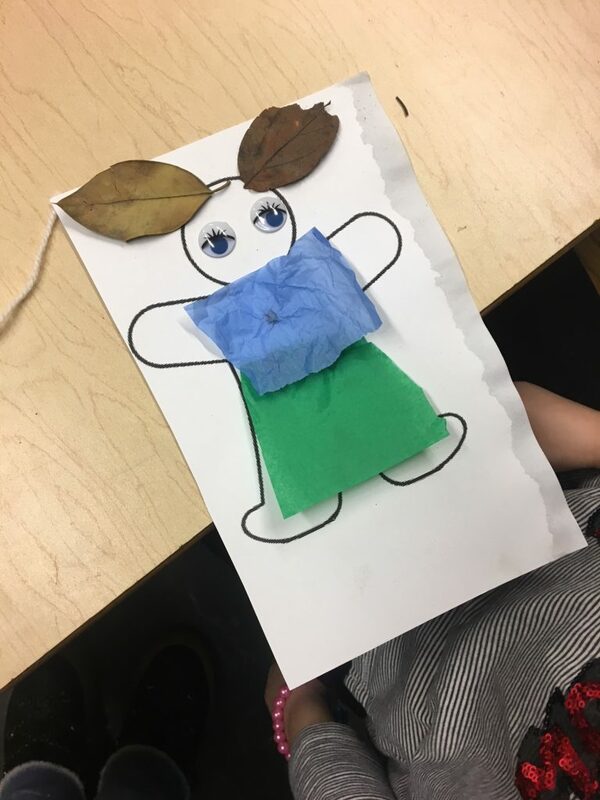 Children did workshops on the representation of trees in our culture, and created a genealogical tree, as well as a selfportrait using leaves.